The following was written by Jen of Rambling Renovators, contributor to Brooklyn Limestone. Hello friends!  I'm happy to be back here at Brooklyn Limestone to share another seasonal craft. Are you ready to be done with winter? We still have snow on the ground here in Toronto so I can't wait for warmer days and the first spring blooms to make their appearance. But no matter the weather outside, this Moss Shadow Box will help you bring a bit of that spring feeling indoors. Cut a piece of foam core the same size as the backing of the frame. Using the shadow box inner frame (the piece which holds the glass and backing separate), trace and cut out a piece of moss equal to the size of the inside of the frame. Hot glue one side of the foam board, leaving a 3/4" border free of glue. Centre the piece of moss on the foam board. You should have approximately a 1/2" border free of glue and moss. Using your box cutter, cut a small ribbon sign out of the balsa wood. For my sign, I used three shapes: 1 - 5"x1.5" rectangle, and 2 - 1.5" x 1.5" squares with triangle cutouts. Sand down all rough edges. I also rounded some of the corners to make the sign look more like soft ribbon. Use hot glue to assemble the sign pieces together. On the front of the sign, write your message. I penciled mine in first and then wrote over with a fine felt tip marker. Hot glue push pins on the back of the sign. above the moss for a bit of a 3D effect. There. It feels more like spring already! This is a super cute idea for Easter-- Love it! Beauty in simplicity. Very cute. Love this. Fresh and "springy' without being too cutesy. I'm going to make this. That's the look I was hoping for! I have enough pastel eggs around the house as it is. This is so spring-y without being all pink fluffy bunny! Me likey. I love this project! Adorable!